Diabetes creates some risks with the things you’ll need to do while driving. Knowing them allows you to manage them so that you can continue driving without causing a risk to other road users. If you are a young person about to get your licence, check with your doctor before you start driving as you might need an adjustment in your medication. 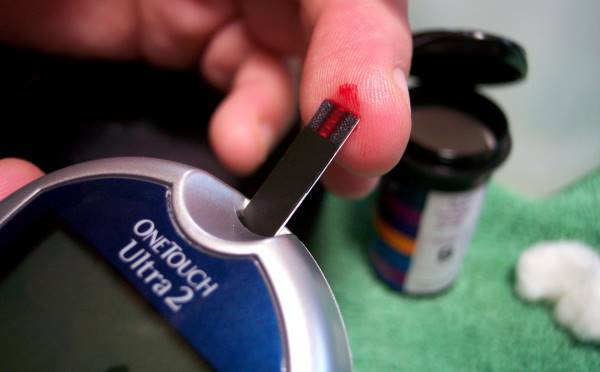 Hyperglycaemia is high blood sugar. The most common three symptoms are excess hunger, excess thirst and increased volume of urination. But the main concerns for driving are that it can make you feel extremely tired which puts you at risk of falling asleep at the wheel, it can give you blurry vision and cataracts and, in extreme cases, it can cause seizures. You should not drive if you are severely hyperglycaemic. Low blood sugar levels can dangerously impair your driving. If you sometimes experience hypoglycaemia without warning signs you need to discuss with your doctor whether it will be safe to drive. A doctor should be able to give you medication to control your diabetes which will make it possible for you to drive a private car. If you have type 1 diabetes you are generally not allowed to drive a passenger vehicle or heavy vehicle unless NZTA has granted a licence after consultation with a specialist. If you are taking a long journey have a meal at your regular time before starting out and stop while you are driving to have another meal (or substantial snack) at the regular time of your next meal. Don’t delay your mealtimes. Keep snacks in the car’s glove box – foods with instant sugar such as glucose-heavy sweets, plain muesli bars, dried fruit, small cartons of fruit juice, and biscuits. Make sure you change these regularly in summer as the summer heat can degrade them. Take fruit with you. If you start feeling the symptoms of diabetes, stop and check your blood sugar levels. If they are low, take some glucose tablets then eat some food which has easily available carbohydrates and sugars such as fruit or biscuits. Wait until you can feel that the sugar has taken effect before you start driving again – this could take up to an hour. Don’t delay treating your symptoms. The worse your hypoglycaemia gets, the more your judgment is affected. It’s better to act early. If you are stopping to load or unload your vehicle, or if you have to change a tyre or push it, this can trigger a low blood sugar episode. Make sure you eat and give yourself time to recover. Alcohol will have a greater effect on your body if you are hypoglycaemic. Avoid alcohol completely before driving. When should you stop driving if you have diabetes? Wait at least an hour after a mild hypoglycaemic episode before you start driving again. Give your body time to absorb sugar from the food you’re giving it and normalise the levels. If you have a severe hypoglycaemic attack, i.e. one where you need someone else to help, refrain from driving for at least 24 hours. If you have several in a row, you’ll need to see your doctor to determine the underlying cause, and you must not drive before then. If you have a severe hypoglycaemic episode when you are driving, it’s important you see a specialist before resuming driving, and you will need to wait a month. Can you get special dispensation to drive, or a licence to drive with diabetes? You can get a licence with conditions under some circumstances. NZTA will take into consideration the type of licence you hold, how you are controlling your diabetes, your history of attacks, how well you follow your medication and an assessment of how severe your symptoms are. There’s more information about diabetes at Diabetes New Zealand.